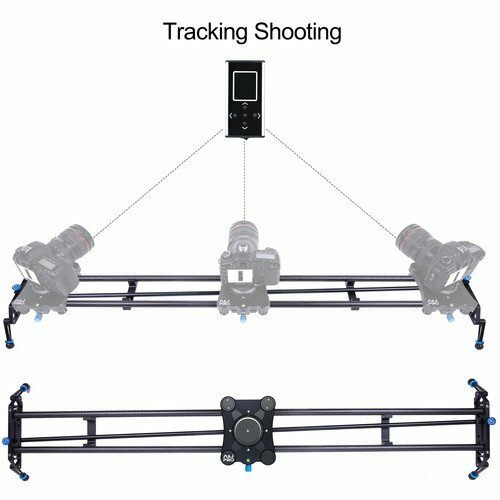 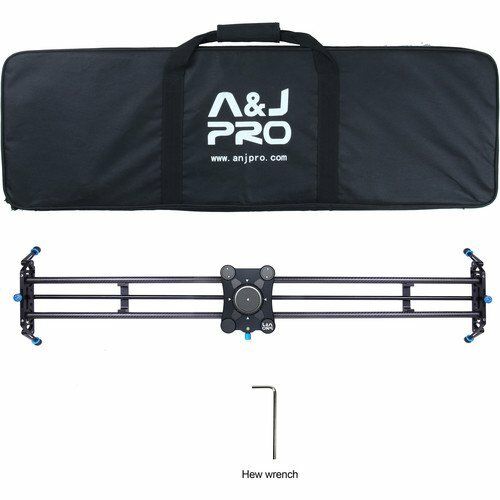 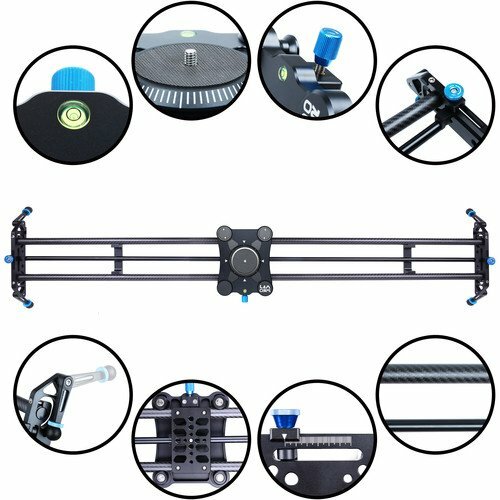 A&J Pro Portable Parallax Camera Slider 47.2"
The lightweight Portable Parallax Camera Slider from A&J PRO is a slider with a 47.2″ carbon fiber rail. 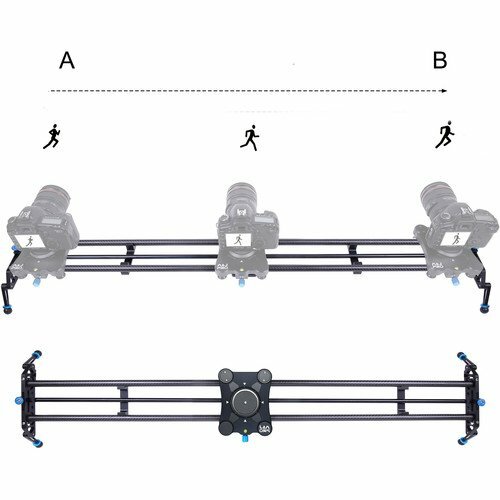 It is equipped with 1/4″-20 and 3/8″-16 threaded screws and is designed for cinema cameras, camcorders, DSLRs, and other photography equipment weighing up to 11 lb. 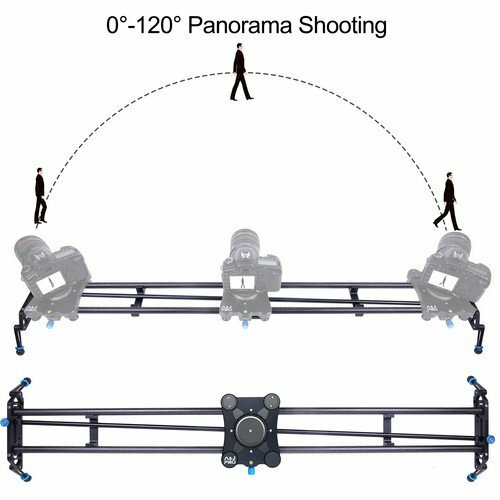 This slider offers parallax 90° panoramic mechanical movement. 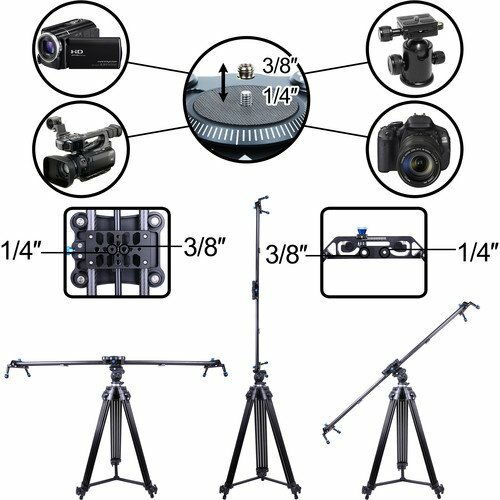 It can be installed on a tripod to support multiple angles, and includes a hex wrench and carrying bag. 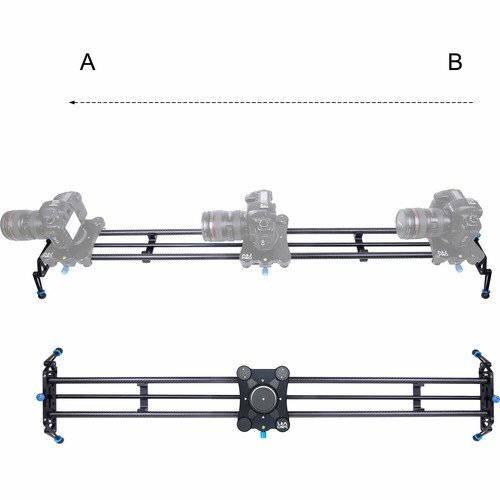 Box Dimensions (LxWxH):	52.0 x 10.0 x 4.5"